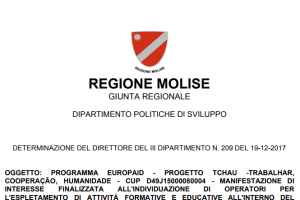 Condividiamo l'articolo del Press office del Presidente Regione Molise Donato Toma. 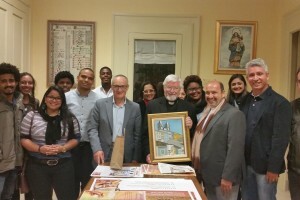 Video of the Launch Event, a play in the Parish St. Francis of Assisi. 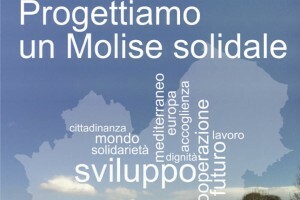 The delegation of the Molise Region visited in Sao Paulo the Association of Molisan People in Brazil and the Italian Consul in Sao Paulo. "Our community has understood very well the project proposal and will work to support the project with a voluntary contribution" is the statement after the meeting. 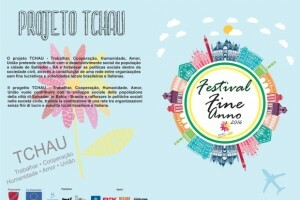 In San Paolo it was also launched the campaign "Adopt tchau". 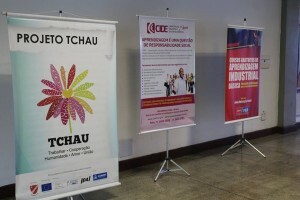 Today a successful launch event of the project TCHAU. Thanks to all the participants and those who have contributed to this initiative. 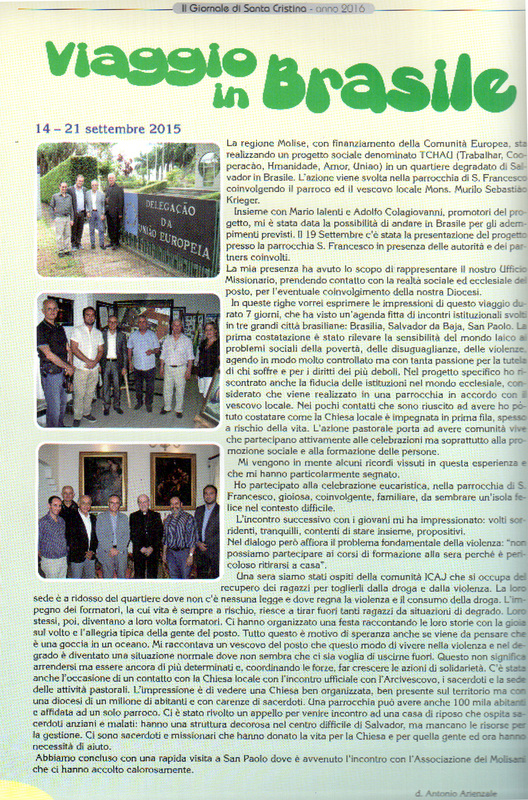 On September 19, during the launch event of "Project tchau - Trabalhar, Cooperação, Humanidade, Amor, União", was signed a Memorandum of Understanding for the creation of the Multi-Purpose Center, between the Molise region, the Parish Centre of St. Francis of Assisi, the Municipality of Salvador, the Foundation Dom Avelar Brandão Vilela and Instituicao Cristã De Amparo Ao Jovem - ICAJ. Meeting with the youth of the parish S.Francis of Assisi. Meeting with the youth of the parish S.Francis of Assisi in Boca do Rio. Read more: Meeting with the youth of the parish S.Francis of Assisi. 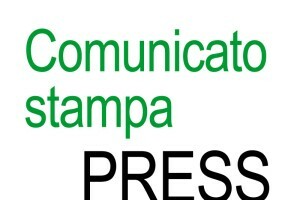 Wednesday morning, the delegation of the Region of Molise and Campobasso-Bojano Archdiocese (Ialenti, Colagiovanni, Arienzale) gave an interview about TCHAU project on "Manhã Excelsior" with Mário Freitas in radio Excelsior 840 AM. 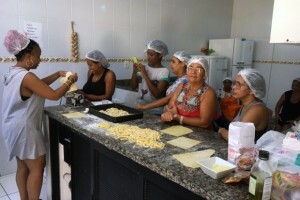 The project TCHAU of Regione Molise takes place in Brazil and has as its ultimate goal the creation of a multi-purpose center in the city of Salvador de Bahia to promote educational and training activities aimed at providing employment for young people in disadvantaged situations in the context of cooperation activities development and network of international activity. 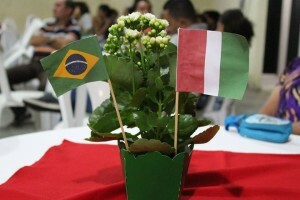 The recreational facility will be devoted to vocational training and the promotion of youth employment through the organization of Italian language courses, cooking classes and pizza maker, physiotherapy activities, preparation and realization of cultural festivals. 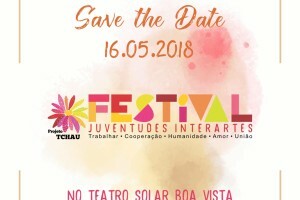 Partners of Regione Molise are the Instituição Cristã de Amparo ao Jovem (ICAJ) and the Fundação Dom Avelar Brandão Vilela (FDA).